I don’t like changes and there have always been many constants in my life. Today, on the third anniversary of Undina’s Looking Glass, I want to write about two things I liked for almost as long as I can remember myself: perfumes and storytelling. 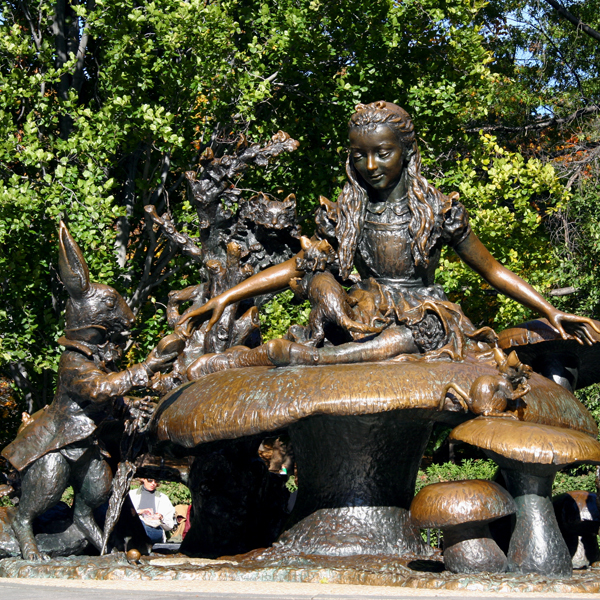 At six my mother and I had a ritual: she would read me a chapter from Alice in Wonderland before bed time and the next day I would tell it in front of my group in a kindergarten. I think our teacher just appreciated 10-15 minutes of the calm time while she didn’t have to entertain us but I felt very proud to stand in front of the other 12-15 kids and tell the next part of the story. Through the Looking-Glass, and What Alice Found There I read already on my own when I was nine. I don’t remember if I shared that book with anybody at the time but clearly it imprinted in my mind and many years later transformed into the idea behind the idea of this blog’s name. It has been long time since I was a kid but I still like telling stories: not fiction but rather something I’ve read, heard or experienced. And since I have the perfect audience (thank you, my friends and readers! ), here’s the next chapter of my perfumed story for you. Even though perfumes were always in my life, until recently I was mostly familiar with the mass market variety. Over the years I’ve approached the proverbial rabbit hole a couple of times without realizing it (several harder to find or niche perfumes made it into my collection without me knowing the significance of that) but every time I would return to the safe ground of mainstream perfumes. Four years ago I had a small collection of perfumes, arrogant notion that I knew about most of new releases (my world was limited by local Macy’s, Nordstrom and Sephora) and a firm belief that everything smells like everything else. I still loved and wore perfumes that I owned but I felt apathetic about new releases and didn’t expect to find anything interesting and worth my attention. In summer 2010 my vSO and I spent four days in London. 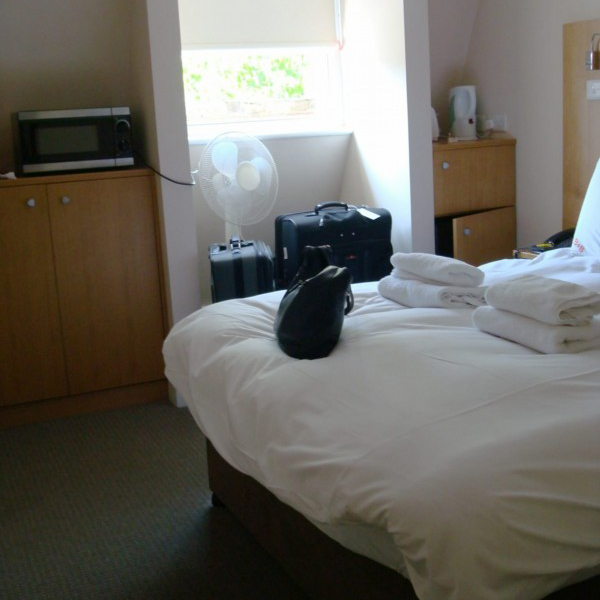 The trip didn’t start well: due to an oversight we ended up staying in a tiny and extremely hot mansard room. 12 m2 for everything, including a bathroom and the advertised “kitchenette”. It was so tight that the bed was the only place one could spend time on while being inside. So we tried to spend as much time in the city as we could to get back after dark when the temperature inside would become more tolerable. The idea to visit Harrods came from my vSO: he read about it in the guide book and thought it would be interesting to see the biggest department store in Europe. We were walking there as in a museum for a while before we came across the perfume department – the regular one, I hadn’t even heard about Roja Dove’s Haute Parfumerie until after we returned from that trip. I wasn’t looking for a new perfume; I was just leisurely browsing the selection when a new perfume found me. An SA almost forced a scented paper strip on me. I knew nothing about the brand. I had never seen their perfumes before. But it was easier just to take that blotter… The brand was Ormonde Jayne. And the perfume was Ta’if. I liked it so much that I was seriously considering an on-the-spot purchase but remembering an unpleasant experience described in My First Scrubber I decided that I needed to give it some skin time – 15-20 minutes. I sprayed my wrist, put the blotter in my purse and we went to the next department – just to wait for Ta’if to develop. That next department happened to be a Jewelry Department. I was looking for anything in that department even less than for a new perfume… You know where the story is heading, right? I found a perfect ring that I just had to have. And the more I smelled my wrist the more I liked that perfume. And the store was closing so I had to decide quickly what I should get. I knew that once you pass on a jewelry you like it would be almost impossible to find it again. And with perfumes you should be able to find anything online and even cheaper (yeah, I told you I was a little arrogant). I left Harrods with a ring. Ta’if had transferred in my purse from the blotter to my phone and stuck to it for days (who knew about that property of gorilla glass?!) haunting me but at the same time making my evenings at that shoebox of a room a little better. I came home, started looking for Ormonde Jayne, realized it wasn’t available in the U.S., and while at it I discovered The Perfumed Court, perfume blogs and the whole world of niche and indie perfumes. 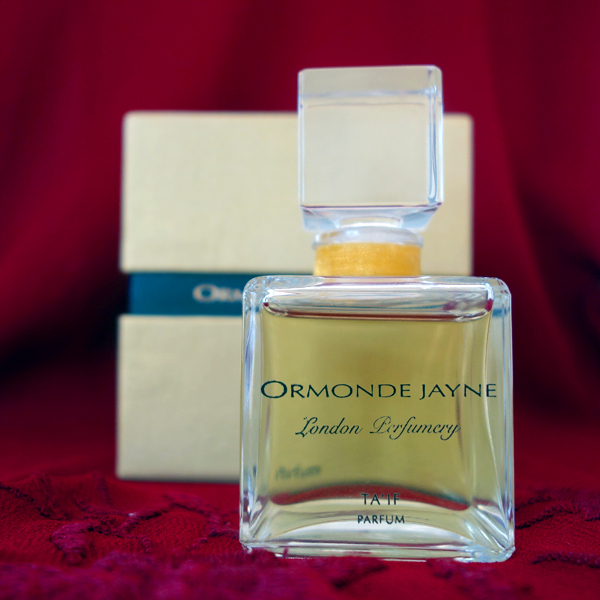 Ta’if by Ormonde Jayne is my White Rabbit following whom I started my adventures in the Perfumeland. Had I been more spontaneous (which I’m still not) I would have gotten that bottle right then and there and who knows when or even if I would have come to where I am now. But it took me a couple of months to find a decant, a couple of years to get a travel bottle of Ta’if EdP and another year to add a bottle of Ta’if parfum to my collection. It took me three years and 240 posts to write my down-the-rabbit-hole story. There are many reviews of Ta’if EdP out there so I won’t even attempt to do a review. But I’ll share the opinion on the difference between the two versions – eau de perfume and parfum. They are very similar; the latter is a little smoother and has a slightly better longevity but all that isn’t worth an almost 2.5 difference in price ($126 vs. $300) and especially now when “premium French flacon with a gold OJ motif stopper and Japanese ribbons” are merely a false advertising on Ormonde Jayne website and a plain bottle they sell from the store is simpler than original bottles for EdP (the new version of which, at least on pictures, also looks cheaper). Ta’if is a gorgeous perfume and if you like it go for the eau de perfume concentration. So this is the story of Ta’if, one of my top three all-time favorite perfumes with the other two being Climat by Lancôme, the story of which started this blog three years ago, and Ubar by Amouage, a story of which I’ll probably tell one day. This entry was posted in Acquaintance with letters, Favorite Perfumes, Not a Review and tagged Ormonde Jayne, Ta'if. Bookmark the permalink. What a lovely story. And happy birthday to the Looking Glass. Oh what a great story. Thanks. I too love Ubar. Off to Harrod’s with Portia in two weeks …. will think of you as we terrorise them. When it comes to blogging, you are as close to a role mode as it can be for me. Thank you, B. Happy birthday to your cosy little place, Undina! Love reading you and meditating on Rusty (missed him in this post!)! I don’t know Ta’if, nor Ubar, but my vintage love is Climat and I am looking forward to your story about it! Thank you, Lyubov. I didn’t take Rusty with me either to New York (the first picture) or to London (the second one). And my Ta’if parfum is still too new and precious to risk it in the photo shoot with my playful cat. But there will be enough of him in the future posts. As to Climat, I wasn’t probably clear: I have written my story about it – it was the first story in this blog and I’ve linked to it above. The untold story is of Ubar. Oh, I am sorry, I am so absent-minded these days (busy writing my Ph.D. thesis) that I forgot I saved the picture of Climat from your posting about a year ago. I have a story with it, too. Once, packing for a winter vacation, my then 2-year-old daughter spilled about 10 ml from my tiny splash bottle over the luggage…Now, she’s 5 and the soapy aldehydes are still detectable!!! Through the looking glass with Undina! Happy anniversary and many storied returns. That was a great story to share. Such innocence which I am sure we can all relate to. I must read those books again as an adult – so maybe in a few years. Your story reminds me of this quote. I was actually planning on re-reading those stories… for the first time in English. I’m sure that the translation was great but now I have a chance to read the original story. Happy 3rd anniversary, Undina! I’m very glad I found your blog otherwise I would have missed so many of your wonderful stories, including this one. I loved hearing your own falling down the rabbit-hole tale. One of the several disappointments regarding my recent trip to the OJ store with Vanessa and Lavanya was that they didn’t have testers for the parfums. At least with Ta’if we weren’t missing much. Thank you, Tara. It’s such a pleasant community that we have here and I value all the relationships I built thanks to my blog. I can’t imagine how brands think a person could make a decision on buying something that expensive without even testing it in the store! If not there – then where? Oh my, what a lovely and passionate story. The ring you chose is beautiful, no surprise you chose it over a bottle of perfume. Happy third anniversary! Love the ring, it’s gorgeous. Funny – I just came across a sample of Ta’if the other day. It was stashed with some others, and I put some on. It is really lovely. I’m glad you liked Ta’if. Most of OJ’s perfumes are very nice so if you test them you’ll find at least one to like very much if not love. Happy Anniversary to your blog Undina. I do love your story telling – you are very gifted at it! I took a stroll down memory lane as you wrote about Harrods, I had thoughts of my own wanderings around there when I was in London. The next time you are wearing Ta’if, will have to make sure that I smell it. Thank you, Juli and deal! I’m sure you’ll like it. Happy Anniversary and thank’s for another captivating history. So well described that I can image your visit at Harrods as well as the smell from the great Ta’if. Thank you, Vanessa. I’m also glad that everything has worked out the way it did (and it’s a very nice ring; now I’m dreaming about getting a necklace from the same collection – just to keep the ring a company, you know ;) ). Congratulations on your third anniversary, dearest Undina. I love your account of how you fell into the rabbit hole. And the ring – absolutely gorgeous! I really should try Ta’if…for goodness sake, I HAVE the Discovery Set and have only tried 2 (OJ Woman and Tiare), both of which I love…perhaps I’m afraid to fall in love with another OJ. So far, I have resisted a FB purchase (unless you consider getting the 4 x 10 mL travel sprays the equivalent)! And speaking of re-reading (and here I go again talking about myself), I just finished watching American Masters: J.D. Salinger and I feel like I must re-read his novellas and short stories. I am keeping my hopes up about the publication, starting 2015, of different installments of what he had been writing from 1965 to his death in 2010. You should try Ta’if! When you like it, come back and we’ll talk that split (I even have a purfect mule to avoid problems with OJ and Fedex). And, by the way, I had actually tried a third OJ from my sampler and forgot all about it – frangipani! And if I recall, I loved it as well and considered buying the travel spray set but it was right around the time that I heard OJ was having all sorts of problems with shipping and I decided not to take my chances. I probably could have bought the set during my trip to London but that was all about getting my hands on the Four Corners of the Earth collection! Happy, happy Anniversary, Undina! I’m so glad to have found you and to have become blogofriends. As for your storytelling past, I found the visual of a tiny, young you standing up in front of the class to recount the story that your mother had read to you the night before to be utterly delightful. The sweetest thing ever! I’m sure the teacher loved it too, and that it had nothing to do with a bit of peace and quiet. I wish you many more years of storytelling to come, for your sake but especially for ours. I must say that your visuals of the event isn’t far from the reality: back then I actually was tiny :) And yes, I was kind of a teacher’s pet, she liked me. At the end of the documentary, there were rolling snippets of text, one of which mentioned publication of installments of some of his writing starting 2015 through 2020. Also, there will never be a movie made of Catcher in the Rye. Definitely a lot to look forward to, just like looking forward to new perfumes! Interesting! Thank you for the information. I’ll be looking forward to that too. I love it when you share your lovely stories. Although I’m sorely missing Rusty in this post. Happy Anniversary my dear! Thank you, Steve. I promise: Rusty will have many appearances on my blog this year. Happy Anniversary, and thank you for sharing your story. I’d have chosen the ring, too. As for Ta’if and the ring, I think you still made the right choice. Ta’if found its way to you eventually, and packing it home wouldn’t have been the funnest thing. The story had a perfect ending: I got both – the ring and the peerfume, just not at the same time. So I definitely cannot complain. Lovely story and congratulations of course! You have good taste for jewellery and for pefume too ;-). To many new posts! 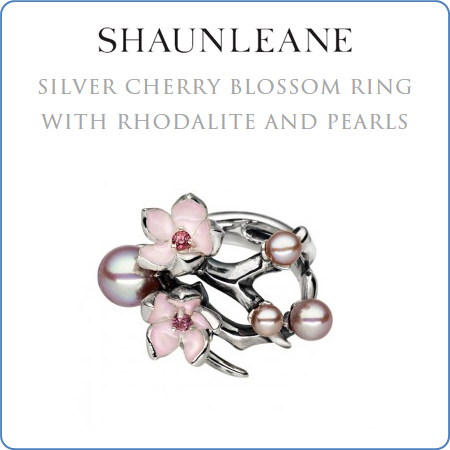 What a beautiful story about a beautiful fragrance and a beautiful ring! Thank you for sharing, dear Undina! And a very happy belated blogoversary! Great story….and I love the ring too! I think OJ site offers their perfumes in higher concentration. I think it was called something like Make to Measure section but I haven’t checked recently. In any case, I think EdP is the right way to go (I tried EdP, parfum, oil, shower gel and candle :) ).